It is also used in infections of urinary tract, tonsils, sinus, nose, throat, female genital organ, skin and soft tissues, windpipe and lungs (pneumonia). 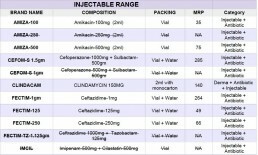 Levofloxacin is an antibiotic. It kills bacteria by preventing them from reproducing and repairing themselves. This treats your infection. Lactic Acid Bacillus Rhamnosus is used in the treatment of diarrhoea, infectious diarrhoea and diarrhoea associated with antibiotics. 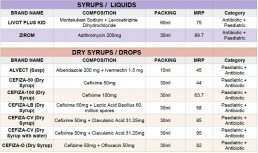 Want Antibiotics Products Franchise for your Area ?